I always enjoy turning the spotlight on some of the wonderful things river people undertake for charity – and this week is no exception. The intrepid crew will be paddling 116 miles along the Thames to raise money for two good causes. 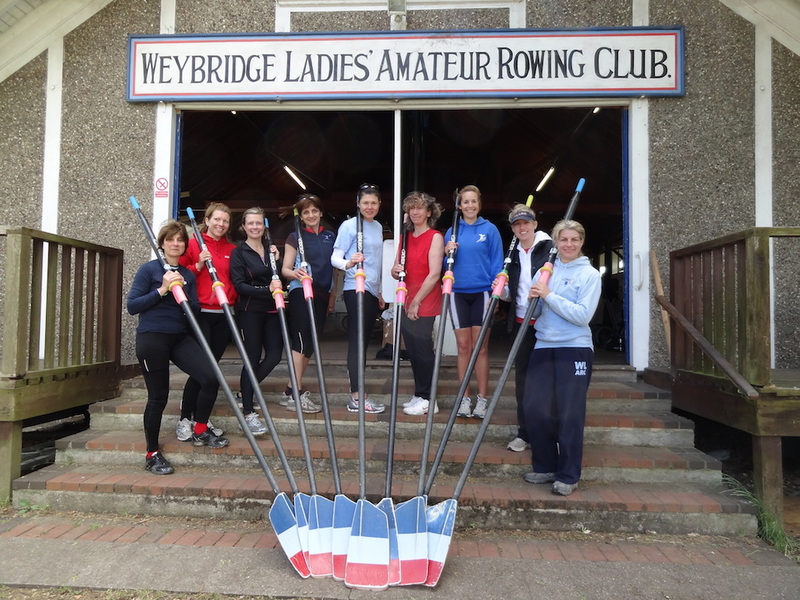 Ten intrepid rowers from Weybridge Ladies’ Amateur Rowing Club are taking on the Thames this summer, to raise money for Breakthrough Breast Cancer and Arthritis Research UK. The Thames Challenge Row will start at Lechlade, in Oxfordshire, and finish in Weybridge. The volunteers taking on the 116-mile stretch of the river will be crewing two coxed quadruple sculling boats. The rowers will set off on Thursday August 15 and aim to finish at Weybridge Ladies’ Rowing Club two days later on the Saturday after camping overnight along the route. This is a real physical challenge for the ladies involved, who usually row about five miles during an average outing. Instead, they will be covering almost 40 miles per day. Laurily Adams, Weybridge Ladies’ club captain, says: “This is the biggest endurance challenge we have ever faced as rowers. The teams will be supported along the route by willing volunteers, friends and family and also by the rowing clubs of Abingdon and Henley, which are allowing the rowers to use their grounds for overnight boat storage and camping. For various personal reasons, the chosen charities are important to all of the rowers. Two of the team have returned to competitive rowing after confronting difficult struggles with arthritis. While the Weybridge Ladies are delighted with the level of support already shown by friends and family on their Virgin money-giving fundraising website, they are enthusiastically seeking additional financial support from local business. For further details about the WLARC Thames Challenge Project, please contact Laurily Adams, Alex Browning or Jenny Field at Weybridge Ladies’ Rowing Club, Thames Towpath, Walton Lane, Weybridge, KT13 8LU or visit the club’s website at www.weybridgeladies.org.uk. AS THE heatwave appears to be continuing for a while – and with summer school holidays now here – the Canal and River Trust (CART), the charity caring for 2,000 miles of canals and rivers in England and Wales, is urging children to stay safe by the water this summer. Amazingly, each year an average of 35 children drown in the country’s inland waterways and coastal waters, according to the Royal Society for the Prevention of Accidents, so CART has launched an initiative, Canal and River Explorers, aimed at helping young people learn about and enjoy their local canal or river safely. Around 10 million people, including many families, visit the waterways each year and the canals and rivers are more popular than ever. Although these waterways may look tempting to cool off in, the trust is urging young people to stay safe and keep out of the water. Annette Simpson, CART’s education manager, said: “Canals and rivers are brilliant places to go to on hot days and excellent for families to explore during the holidays – I’d encourage anyone to make a visit this summer. “But it’s also important that people, especially children, are aware of the risks that water can pose. Although the water may look inviting, it can pose a hazard as there may be hidden dangers lurking beneath the water. They can also be deep and the water quite cold, which can quickly cause someone to get into trouble. And even though our rivers are cleaner now than they’ve been for years, they can still harbour all kinds of germs and bacteria so don’t take the risk.